To people who’ve never fallen into a productivity hole on Vine, today’s announcement that the video-sharing app would be “discontinued” doesn’t mean much: just another once-popular social network quietly petering out. To some extent, that’s true — Vine’s biggest stars have mostly moved on to Facebook or YouTube, and many of its functions are now built into the services of its parent company, Twitter. But if you’ve always imagined Vine as a flash-in-the-pan social network populated by nonthreateningly cute teenagers making dumb jokes, you missed out on one of the internet’s weirdest and funniest spaces. To butcher a Velvet Underground myth, not a lot of people used Vine, but everyone who did went out and started a YouTube comedy channel. When Vine debuted, in 2013, it was the first mobile service to make uploading video easy, with very little friction. Instagram didn’t have video yet, nor did Twitter; YouTube was best for desktop applications; Facebook was still largely text-focused; and Snapchat was mostly a messaging service. By making it easy to produce video, Vine also made it fun. By setting a hard limit on length, Vine gave the video-making process just enough structure to sustain it. In a few ways, Vine resembled 4chan, or Tumblr, or any of the impenetrable online communities that create web culture before it seeps out to bigger and more mainstream services. Unless you truly committed to using Vine, it was almost incomprehensible. The videos had to communicate entire ideas while being filmed on phones, by nonprofessionals, in six seconds, which meant fast cuts, broad humor, bad sound, and lived-in settings. They were tightly compressed into an amount of time that often seemed both too long and not long enough. And, frankly, Vine loses something when you try too hard to sell it. Many of the videos were boring, unfunny, or bad. Most Vines had no particular aspiration besides being funny, though the humor could range from pure slapstick to sophisticated meta to gross-out to intricate skits. Describing it as a space of unfettered creative genius, and then watching a popular Vine — say, the one where a chubby kid turns to the camera with plastic spoons over his eyes to say “I didn’t see you there, I was too busy, mm, blockin’ out the haters” — can produce a slight cognitive dissonance. But the point of Vine was never to generate the next Fellini. It was to have dumb, stupid free play on an internet increasingly hostile to that kind of freedom, whether because of surveillance or heavy-handed advertiser presence or trolls. The lack of adult supervision or corporate culture may have made it somewhat impenetrable, but it also made it feel free in a way no other social network really does. And that freedom paid off. In terms of creating phrases, ideas, and images that made it into mainstream culture — that is, memes — Vine was unparalleled. If you’ve heard, or said, or been baffled by “I was told by Apple Care!” or “on fleek” or “what are those,” you’ve encountered a Vine in the wild. Not to mention “do it for the Vine”: The service was such a phenomenon that it engendered a special type of reckless behavior. Most important, the engines of this creativity were groups poorly served by, and often shut out from, mainstream cultural creation and consumption. 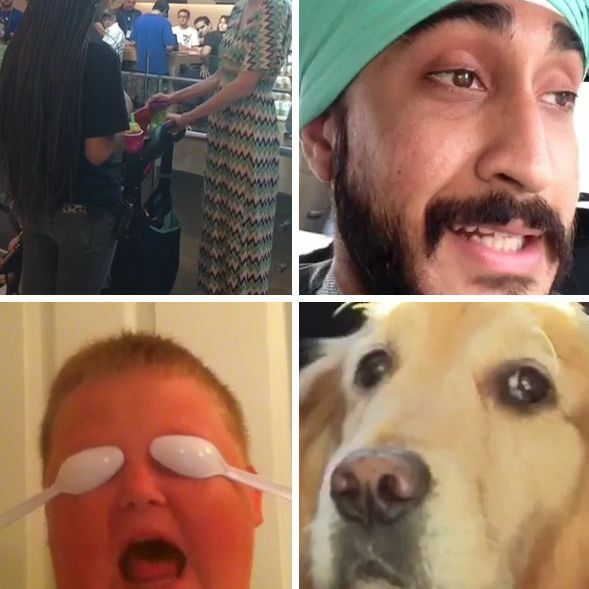 Vine wasn’t just dominated by teenagers — it was dominated by teenagers of color. Especially black teens, who created a disproportionate number of popular Vines and used the social network to demonstrate wit, intelligence, creativity, and comic timing that was rarely given a spotlight elsewhere. That included dance trends like the yeet. So of course it generated stars. There are arguably no Facebook stars or Snapchat stars, but there are Vine stars — a term occasionally used pejoratively — King Bach, Victor Pope Jr., Logan Paul, Lele Pons, Amanda Cerny. Those stars eventually fled to greener pastures (green as in money), but they owe their success to Vine. But they were never, really, what made Vine special, even if they were the way knowledge of the app bubbled up into adult venues. Rather, they were coasting on an enormous foundation of boisterous adolescent and young-adult experimention and play. It’s no accident that Facebook, Instagram, and now Twitter have set their sights on frictionless, quick-playing video features. The exuberant video-centric culture that you see online today is directly attributable to Vine. We will be worse off without it.